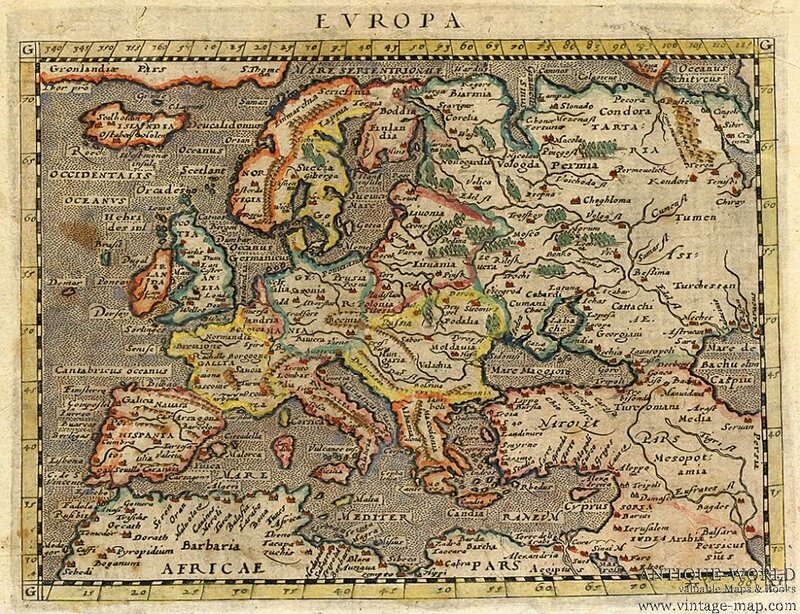 Did tiny kingdoms and states exist in the Middle Ages? Here is our list of ten European microstates the were created, sometimes by accident, including a few that remain in existence to this day! The Principality of Andorra was officially created in the year 1278 through an agreement between the Bishop of Urgell and the Count of Foix to have joint sovereignty of the territory, which lies along the border between France and Spain. Local traditions hold that the tiny country existed since the 9th century and that Charlemagne granted a charter to the Andorran people in return for fighting against the Moors. Over the centuries the tiny state (a census carried out in the 12th century found that 2298 people lived in Andorra) seemed it might have been annexed by one its larger neigbours, the country still remains with the same borders it had in 1278 – but it does pay an annual tribute of four hams, forty loaves of bread, and some wine to France and then to Spain in alternating years. A state created by a mistake – in the year 1440 Pope Eugene IV sold some of his lands to the Republic of Florence. However, the little hamlet of Cospaia, about square one-mile in size, went unmentioned in the sale treaty and its inhabitants promptly declared themselves independent. Remarkably, the state continued to exist until 1826. The only Muslim-state ever in France, Fraxinet came into existence in 889 when 20 adventurers from al-Andalus sailed to the Mediterranean coast near the present-day town of Saint-Tropez. After building a small fortress, they used it as a base to launch pirate raids along southern France and Italy. Their numbers grew to only a couple of hundred, but the raiders were able to take control of parts of Provence and make alliances with local Christian leaders. However, in the year 972 they captured the Abbot of Cluny while he was travelling through the Alps. After he was ransomed, the abbot organized a coalition of nobles who marched on Fraxinet later that year and after a short siege, conquered the fortress, killing or enslaving its inhabitants. In the early Middle Ages Ireland was divided up into a series of small kingdoms, which shared and competed for power. Among those was the Kingdom of Bréifne, which originated around the beginning of the eighth-century. During the Norman Invasion of Ireland in the late twelfth-century, King Tighearnán Mór Ua Ruairc was apparently betrayed and killed by a Norman lord, and the small kingdom was fought over between rival families. This led to the state being split into two kingdoms – East Bréifne and West Bréifne – in 1256, and both lasted until the early 17th century. This Italian village in the Abruzzo region, which is currently home to 300 people, was its own state from the year 1343, when Queen Joanna I of Naples granted them independence in gratitude for fighting against an army from Milan. Modelling themselves after the Republic of Venice, they elected their own Doge to serve as the head of government. It remained independent until the late eighteenth-century. On the night of January 8, 1297, a Genoese nobleman named Francesco Grimaldi came to the castle of Monaco, disguised as a Franciscan monk. When the doors were opened for him, he and his men seized the fortress and held it for four years. However his descendants continued to have interest in the town along the Riviera coast, and in 1419 the Grimaldi family purchased the territory from the Crown of Aragon, thus became the official rulers of “the Rock of Monaco”. The current Prince of Monaco, Albert Alexandre Louis Pierre Grimaldi, is one of the wealthiest men in the world, and the small country of 36,000 people is one the biggest tourist destinations in Europe. San Marino claims to be the oldest surviving sovereign state and constitutional republic in the world, having been founded as a monastic community on September 3, 301, by a stonecutter named Marinus of Arba. During the Middle Ages one can find a few scattered references to this small community in the Italian Apennine Mountains. One report from the ninth-century found that a bishop was ruling this independent community. By the year 1631, its independence was recognized by the Papacy, and while the small state was threatened by invaders on a couple of occasions since then, it continues to remain its own independent nation, entirely surrounded by Italy. Starting in the twelfth century, a group of three villages along the present-day border of Spain and Portugal became a de facto independent country, since they did not have a manorial lord. This status would last until 1868 when the two larger countries made an agreement that carved up the microstate, but the community continues to have some autonomy. The strategic significance of this small island in the Mediterranean has made Malta to be the battleground for competing powers. While it was virtually abandoned for about two hundred years during the Middle Ages, in the mid-eleventh century it was colonized by Muslims from Sicily. In 1091 Malta was conquered by the Norman leader Roger I, and for the next couple centuries it was traded and fought over by various European rulers. In they year 1530 Emperor Charles V gave the island to the Knights Hospitaller, which used it as their base of operations against the Ottoman Empire. The Hospitallers would rule the island for two-and-a-half centuries, and after being part of the British Empire, Malta gained its independence in 1964. Between the eleventh and fifteenth centuries, the County of Foix existed as an independent fief of the kingdom of France. In 1354, Count Gaston III claimed that he “like any prince in the world with his land, and does not recognize for the viscounty itself, any superior than God.” With France and England fighting over the lands around them as part of the Hundred Years War, the County of Foix was able to maintain a quasi-independence until, through marriage and inheritance, it became part of the French crown.